Korean director Hong Sang-soo’s latest work, “Hill of Freedom,” won the Golden Montgolfiere Award, the highest prize at the Festival of the Three Continents in Nantes, France, on Tuesday. The annual film festival is devoted to introducing outstanding films from Asia, Africa and South America. “Hill of Freedom,” Hong’s 16th film, depicts the Japanese man Mori, played by Kase Ryo, who returns to Korea to track down his former love. In the course of his trip, he meets the beautiful cafe owner Young-sun, played by Moon So-ri (“Oasis”). 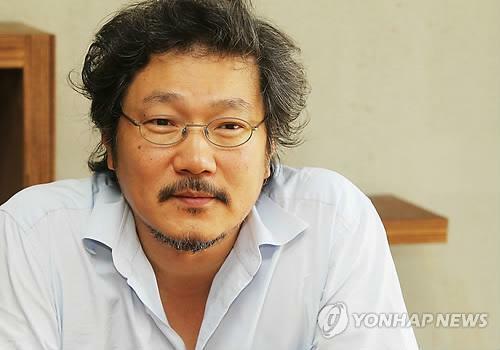 The 55-year-old Hong is one of the most well-known Korean directors in the international film circuit. His films depict everyday human relationships, mostly male-female relationships, and sometimes explore larger political themes through his unique aesthetic style, which avoids cliche. Born in Seoul, Hong studied film at Seoul’s Chung-Ang University, the California College of Arts and Crafts, and the School of the Art Institute of Chicago. His critically acclaimed films include his feature debut “The Day a Pig Fell into the Well” (1996), “Woman on the Beach” (2006), the Cannes-winning “Hahaha” (2010) and “Our Sunhi” (2013). Earlier this year, “Hill of Freedom” competed in the Horizons Section at the Venice Film Festival and was invited to over 20 international film festivals, including in Toronto, Vancouver and New York.